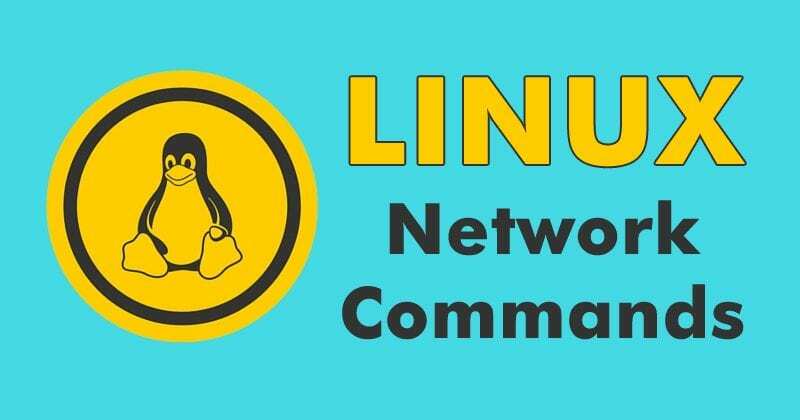 Here are Best Useful Linux Network Commands: Linux command line is very productive, useful and interesting, but sometimes it can be very dangerous, especially when you are not sure of what you are doing. This article does not intend to make it angry Linux command line. As this article is simply created to alert all Linux users about the Linux network commands that are very useful. The command line in Linux is very productive, useful and interesting, however, it can sometimes be very dangerous, especially when dealing user root or user that can take most of their privileges, sudo. You must know exactly what you’re doing. This article was created to simply alert Linux users to some of the terminal commands that are very useful. In Unix-based operating systems, a terminal is an essential tool. With it, you can not only perform basic tasks, but you can also manage the entire system without opening a window. Hence, in this post, we will show you some simple network commands for Linux that are very useful for these environments. Basically, this command sends ECHO_REQUEST packets to the address you specify. It is a great way to see if your computer can communicate with the Internet or with a specific IP address. Note that many systems are configured to not respond to pings. Unlike the ping command in Windows, the Linux ping command will continue to send packets until it finishes. Hence, you can specify a finite number of packages with the -c attribute. The tracepath command is basically similar to traceroute, but does not require root privileges. It is also installed by default in the well-known Linux distro, of course, Ubuntu, while traceroute is not. Moreover, the tracepath command traces the network path to a destination that you specify and reports each “hop” along the route. If you have network problems or slowness, then the tracepath command can simply show you where the network is failing or where the slowness is occurring. The mtr command simply combines the ping and tracepath command in a single command. As the mtr command will continue to send packets, showing the ping time to each “hop”. This will also show you any problems. The ifconfig command has a variety of options for configuring, tuning and debugging the network interfaces of the system. It is also a quick way to view IP addresses and other network interface information. Moreover, if you want then simply you can also specify the name of an interface to see only the information of that interface. The ifdown and ifup commands are the same as executing ifconfig up or ifconfig down. This requires root permissions, so you have to use sudo program in Linux. This is a command that allows you to log in and execute commands on a remote computer using the credentials of a remote account. All communication is done on secure and encrypted channels. This command is the cornerstone of networked systems management and if you want to master that area, this should be your starting point. The host command performs DNS lookups. Provide a domain name and you will see the associated IP address with it. Give it an IP address and you will see the associated domain name. Basically, the route command is the tool which is used to view or modify the routing table. The ifplugstatus command will tell you whether a cable is connected to a network interface or not. However, it is not installed by default in Ubuntu. “Link beat detected” means that the cable is connected. If it is not, “unplugged” will appear. The dhclient command can release the IP address of your computer and obtain a new one from your DHCP server. This requires root permissions, so use sudo in Ubuntu. Run dhclient with no options to obtain a new IP address or use the -r parameter to release your current IP address. The netstat command can display many statistics of different interfaces, including open sockets and routing tables. Run the netstat command without options and you will see a list of open sockets. With -p parameter to see the programs associated with open sockets and with -s parameter to see detailed statistics of all the ports. The whois command will show you the whois records of a website, so you can see more information about who registered and who owns a specific website. Use the curl or wget commands (limit in protocol support: HTTP, HTTPS, and FTP) to download a file from the Internet without leaving the terminal. If you are using curl, type curl -O followed by the path of the file. With all these Linux network commands simply you can start experimenting with your local network. So, what do you think about all these Linux commands mentioned above in the list? Simply share all your views and thoughts in the comment section below.